Wow, it's been a few weeks since I've written a blog post. I feel like it has been an eternity; there has been a lot going on these past 2 months and there have been a lot of changes, some good some bad, that took me away from wanting to write. I still am not 100% back to really loving to sit down and spend time on my computer (besides work), but I wanted to sit down and write this one. 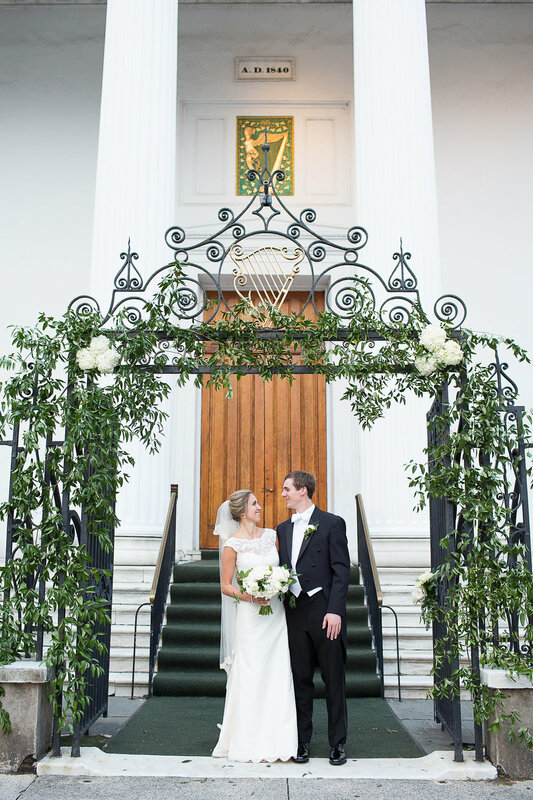 If you want to skip the details, click HERE to view our wedding video. So, after my brothers got their pictures with their then girlfriends, they kept egging me on and telling me to "just do it" to which I finally agreed. Harry is not one to be very sentimental, so as we are standing their getting our picture taken by one of my brothers, he starts talking about us and to be quite honest, I don't remember exactly what he said. Next thing I know, he is down on one knee asking me to marry him, and I was in SUCH shock that I continued to ask him "are you serious!?". We had been together for almost 6 years so I knew, well hoped, that one day we would get married, but I had no idea that he would pop the question that day. I had always thought that my brothers would get married before me, but nothing ever really happens as we plan it, right? Anyway, of course I said yes, and the next thing I know, my parents and Harry's family is coming out of our next door neighbors beach house (they had been inside the whole time! ), and I was so surprised because his parents told me they were out of town in Virginia (this is a frequent for them, so I never thought anything about it)! We all went out to dinner and had so much fun that night celebrating. By the end of the next day, we had our wedding date picked out, the venue & our band. 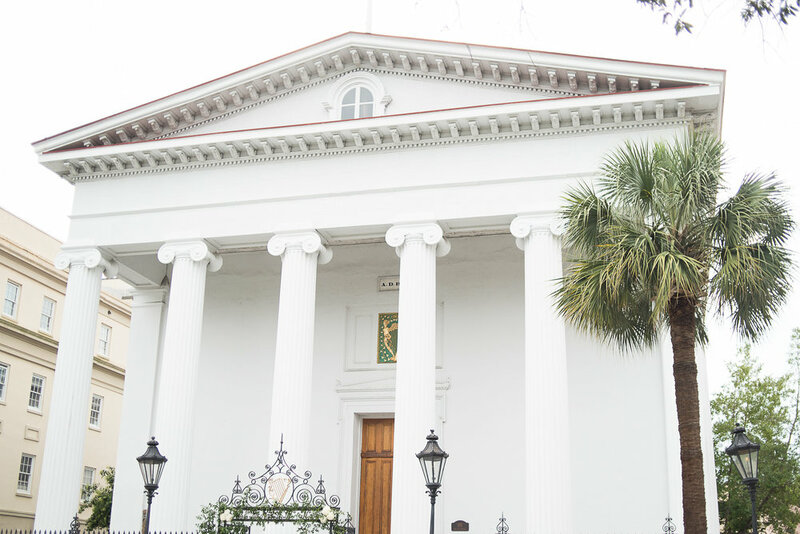 Because Charleston is such a popular destination right now, you have to book everything as quickly as you can, and I already pretty much knew where I wanted it to be. Also, my mom had known for about 2 weeks so she had already called the potential venues (she knows me well) and got their openings. 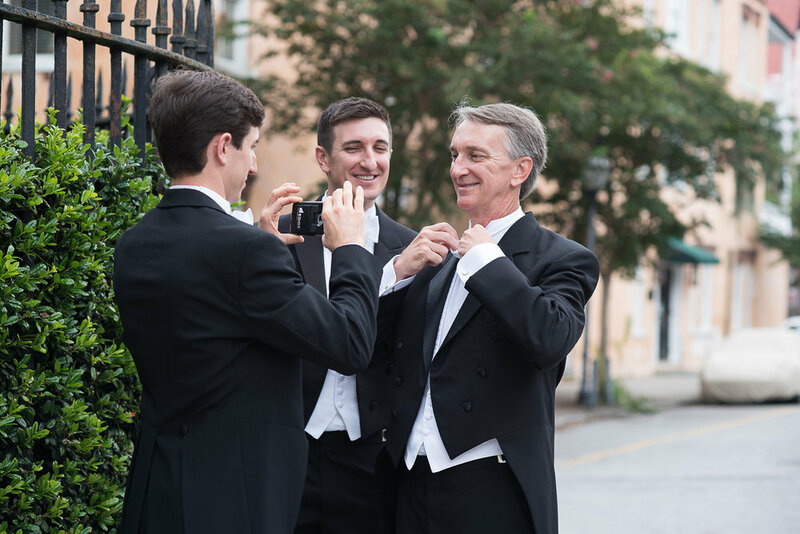 Harry's family is completely English (they are from London), so we knew that for those who were coming over that we wanted to entertain more than just the rehearsal dinner and the wedding since they were making a huge trip to come for our special day. Also, fun fact, rehearsal dinner's don't really exist across the pond, so the Thursday before our wedding, Harry's parents threw up the most beautiful rehearsal dinner that was an American/English theme, it was so incredibly clever how they decorated with flags from both of our countries and custom placemats. It was such a fun night, everyone loved how it was different from your typical rehearsal dinner, and I can not thank my in-laws enough! For the last 6 years, every time I had dinner at Harry's parents which was very often, you were never allowed to sit next to your S.O., this was because it forced you to talk with everyone else at the table. So what other way to have a rehearsal dinner hosted by my in-laws then to separate each couple? It was so lovely because it helped his English family to get to know my family and vice versa. It was truly one of my favorite parts, because when it finally came time for the wedding two days later, everyone kind of new everyone :) It was so special. The rehearsal dinner was at Marion's on East Bay Street which is such a great venue for any kind of party! It has two rooms that flow into each other and is a great central location! Another fun fact: this date was very special to us because August 31st is our "dating anniversary" which marked 6 "official" years together! This was another special day because it is my mother-in-laws birthday :) We had my bridesmaids luncheon around 11am that morning hosted by some of my family at High Cotton in downtown Charleston and that lasted until around 1:30pm. The bridesmaids luncheon also wasn't a typical luncheon for only the bridal party; we ended up inviting all of the girls from London as well because we wanted to really make them feel like a part of our special day since they made a huge effort to come! After the luncheon we ran home to change for about 10 minutes then headed to the church. The rehearsal lasted about an hour and a half, then the bridal party and groomsmen headed to a bar called The Blind Tiger on Broad Street (only 2 blocks from the church) to have a drink together before the crazy night started. After a drink at The Blind Tiger, we all headed about a mile down Broad Street to where our welcome party was being hosted by some of the MOST wonderful people you will ever meet in Charleston. They are some of my parent's best friends, and it was SO incredibly special to be able to have this because the out of town guests were able to mingle and meet each other before the big day. The big day. It's finally here. I couldn't believe it, it is crazy how fast those 9 months went by. You think that 9 months is a long time, but in reality, between parties and oh the fact that BOTH of my brothers were getting married within 4 months of me, which meant parties for them as well, it felt like those 9 months FLEW by. After my run it was time to eat some breakfast and start the process! All the bridesmaids were meeting at my aunt's house in downtown Charleston to get ready, so we headed that way around 11:30am. We hung out, ate lunch, drank some mimosa's and got ready until about 3:30pm. We had SO much fun you would have thought the reception had already started! I had 10 bridesmaids, crazy, I know, but I love every single one of them and they are my people, and I couldn't imagine that day without them by my side. Around 3:45pm we hopped in the van and headed to the church for photos. Harry and I chose not to do a first look, totally a personal decision! 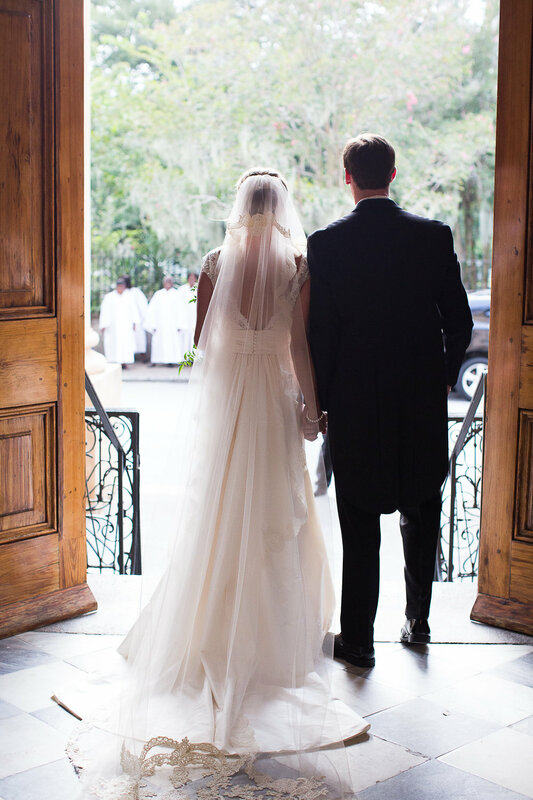 I am super superstitious, so we chose not to, and I wanted the first time he saw me that day to be when the big doors opened. After photos, my grandparents came in to take photos with me and then my brothers and dad came around the corner of the church for family photos and I about lost it because this was a day I had been waiting for my whole life. My family and I are so so close, my brothers truly are my best friends in the world and my parents are the first people I go to for anything, so seeing them made me the most emotional. This was a very special day because my dad's dad, who passed away a little over 2 months ago, it was his 89th birthday. I can't begin to explain how close I was with him and still am with my dads mom. For those of you who don't personally know me, anyone will tell you that my family is #1 in my life, when I go home to Charleston I spend 99% of my time hanging out with my aunts, uncles, cousins and grandparents. We always have a family dinner when we come home (which is pretty much 2 out of every 4 weekends). My dad's entire family besides my brothers live in Charleston. So to have this last birthday with my grandfather be spent at our wedding, I couldn't think of a better way to spend it. Standing outside of the church, it's 6pm, the church bells begin ringing; it was the most beautiful sound. It meant the start of our forever, my dad and I walk in and they close the doors. Once the bagpiper makes his way down the roughly 100 foot walk to Highland Cathedral, my bridesmaids begin the trek (which my dad told them probably 100 times at the rehearsal to walk slowly, I'm sure they loved that). It was time for us to make our entrance. I remember a lot of the ceremony, but I do this thing where I black out when big things are going on in my life, for example, I couldn't tell you what Harry said to me before he asked me to marry him. So I don't remember some of it, but I do remember how beautiful it was, I remember all of the people that were there, and I remember how special it was that all of these people were there for us. Fast forward about 27 minutes, the ceremony is over, and it's time to boogie. 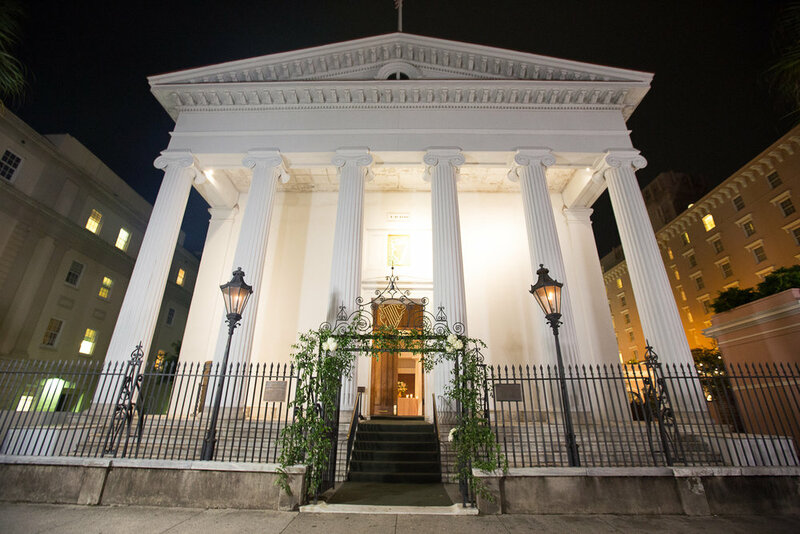 We were able to shut down the three blocks between where the church is to where the reception was, Hibernian Hall, so that all of the guests could parade behind the Charleston Gospel Singers who were singing "Oh Happy Day" while leading the pack of ~300 people to the reception. After we finished the pictures at the church, the singers came back and got us so that we could walk with them as well. Queue the official start to the reception. Harry and I danced to "Signed, Sealed, Delivered", then my dad and I danced, he and his mum (I'm not allowed to say mom, mother-in-laws rules ha!) danced, then we had did something completely out of the ordinary. 3 of the most important people in my life all had their birthday within 4 days of each other: my mother-in-law on August 31st, my grandfather on our wedding day, and my oldest brother turned 30 the day after our wedding, so we had the band get them out on the dance floor, give each of them a cupcake we had specifically made for this moment (we did a normal cake for everything else but had to have cupcakes for them to blow out, per my request ), and all 300 people sang them happy birthday. After we sang them happy birthday, I had another surprise in store...I wanted a special dance with my grandfather on his birthday. I think back on this now and it makes me cry because I miss him so much. He was the most wonderful man and with our first anniversary, it was tough because of all of these special memories I had with him, but I also know that we will be together again one day so I have to hold onto that. : ' ) It was absolutely hilarious! We didn't leave for our honeymoon until Monday because I wanted some time to spend with my brother on his 30th birthday and with Harry's family in town from London, so we stayed in Charleston until about 6pm Sunday night then headed back to Charlotte to leave for our honeymoon in Hawaii (I'll have a post on that later). I can't thank everyone enough who was a part of our special day, it could not have been more perfect. It's hard to summarize such an action packed long weekend, but I tried to cover as much as possible. PS- if you are still reading, you are the real MVP. Click HERE to view our wedding video by Adam Siegel Films. 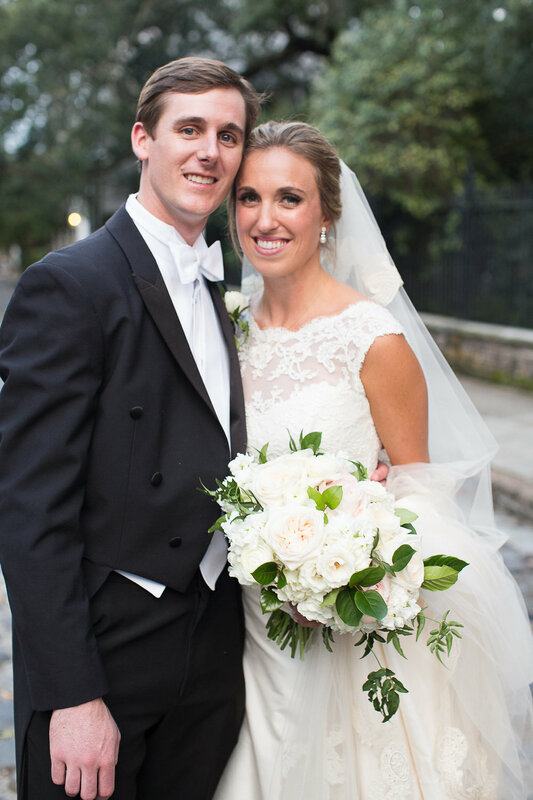 Also, our wedding would not have been as beautiful as it was without the help of our friend & wedding planner Stacey, from RLE Charleston.